Beautiful colour palettes to use in your work with individual clients and groups. 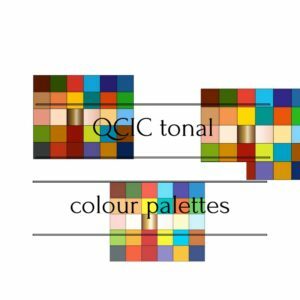 The way we do colour analysis sessions is changing…colour consultants are getting it that clients want colour palettes on their phones where they have constant access to them. 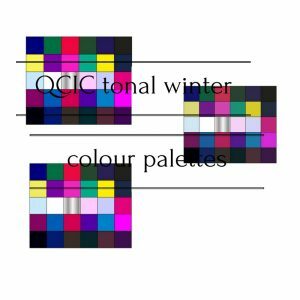 These gorgeous 4 seasons palettes are brilliant to print off and use for clients to hold them against clothes in the shops or even in their wardrobes. If you don’t need wallets and swatches, these are a great alternative. No more having to buy swatches or wallets. One investment, done. Have a professional printer print them off for you in any size in a matt or glossy finish. 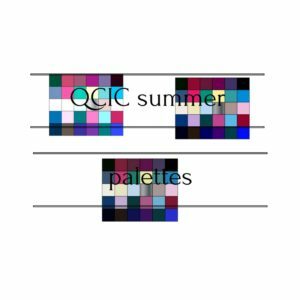 12 palettes, 3 representing each season. We have labelled the palettes to assist you, but feel free to use your own names. License: QCIC Academy hold the Worldwide Copyright to these images and product. 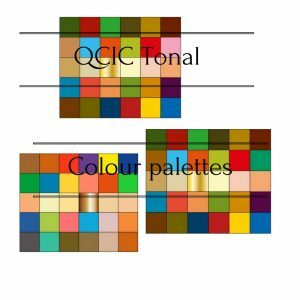 By purchasing these colour palettes you agree to use them for your personal business use only. You can sell them to your personal colour analysis /styling clients but you cannot sell them to other image consultants/coaches. “My clients love the colour combinations on these palettes and they love having them available at any time on their phones. They have taken my business to the next level by offering palettes this way. I didn’t realise what a huge hit they’d be. No more material swatches for me, this is the way to go now and its so easy to do” Kerry. “At last tonal palettes in the format I wanted. Now I’m able to progress my services on-line. The colours are beautiful” Kim. Melbourne.